Methane is an interesting alternative to conventional fuels. A tank-to-wheel CO2 reduction of more than 20 % is already possible with fossil methane without any optimization of the engine. An adaption of the engine to the high knock resistance increases the efficiency and further reduces the CO2 emissions. 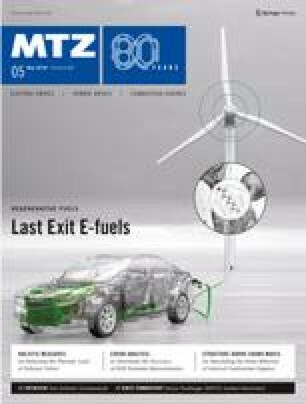 The unlimited miscibility of fossil methane with sustainably produced bio-/e-methane enables a future well-to-wheel CO2 reduction to nearly zero. The authors would like to thank the design team under the direction of Rainer Friedfeldt, the development partners Continental AG, Pierburg GmbH, Delphi Automotive Luxembourg SA, Schaeffler AG and FEV GmbH, as well as the responsible institutions of the European Commission for the financial support of the "Horizon 2020 GasOn" project.